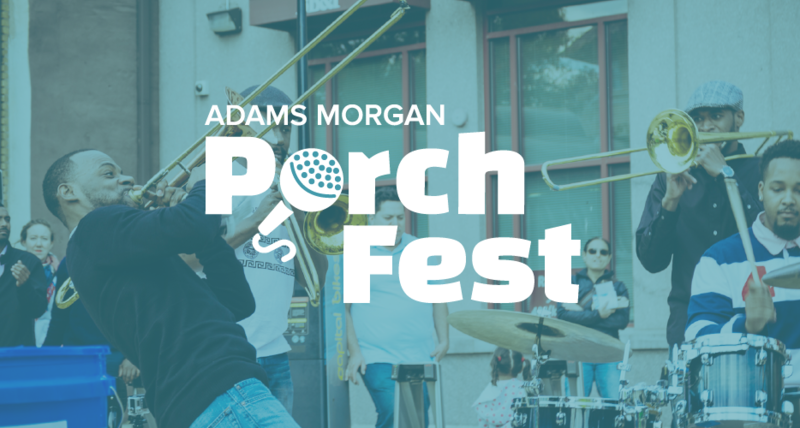 Adams Morgan PorchFest, held on the first Saturday in October each year, is a grass-roots celebration of local musical talent. We turn the front porches and patios of historic homes and local businesses into “stages for a day,” showcasing an eclectic range of music from Latin to jazz, folk to rock, soul to classical, and everything in between. Past performers have included members of the National Symphony Orchestra and Washington Area Music Awards (WAMMIE) winners; but we’ve also featured some of the most promising up-and-coming-young players from local music schools and the neighborhoods of DC. In 2018, we activated 16 porches with 57 bands, attracting dozens of media hits and more than 6,000 attendees.